Founded in 1969, Goodridge have developed from a single seat race team in Canada - to a globally recognized leader in Fluid Transfer Systems. Goodridge is the world’s leading manufacturer of performance fluid transfer systems. It operates in the OEM, automotive, motorcycle, motorsport, defence and specialist industrial sectors. This dynamic private company manufactures in ten facilities globally and supplies customers around the world with a unique combination of design, innovation, reliability and outstanding service. Goodridge won the Motorsport Industry Association 'Business of the Year' award in 2005. 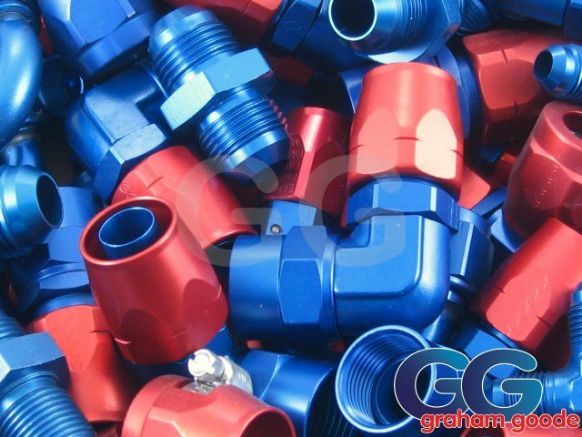 Goodridge have tried to represent a globally diverse range of products within these products, however, please contact us if you cannot find what you are looking for, and we will help you find a solution. We have very knowledgeable staff with years of experience, please call us for help and advice.